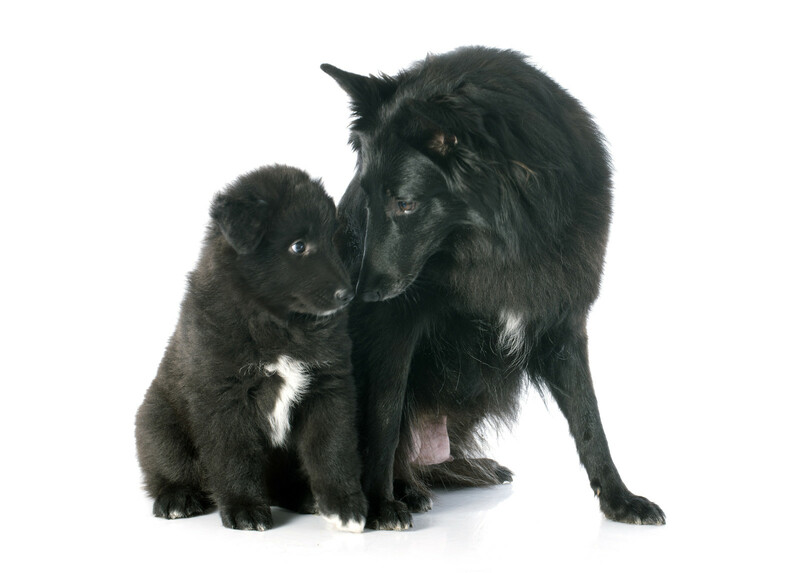 Dog behavior is complex and the signals that dogs send are often subtle. The following is not intended to be a treatise on dog behavior. 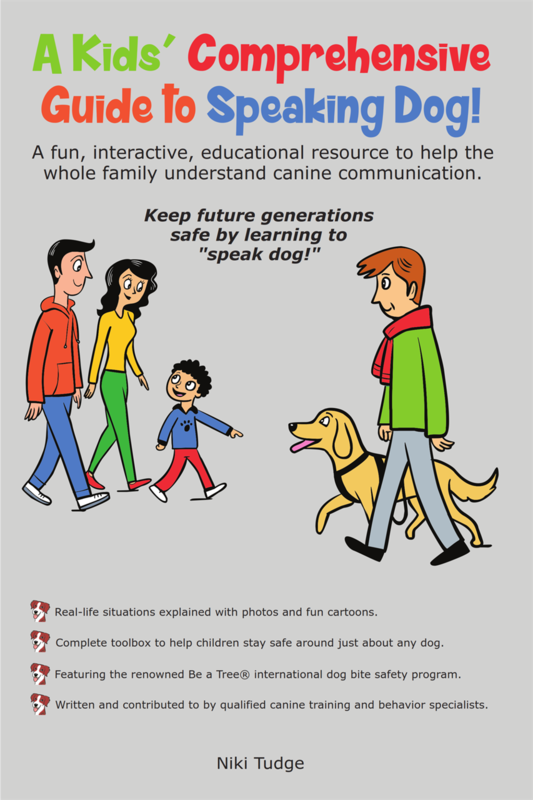 It is intended to alert parents to situations that could compromise child safety around dogs. 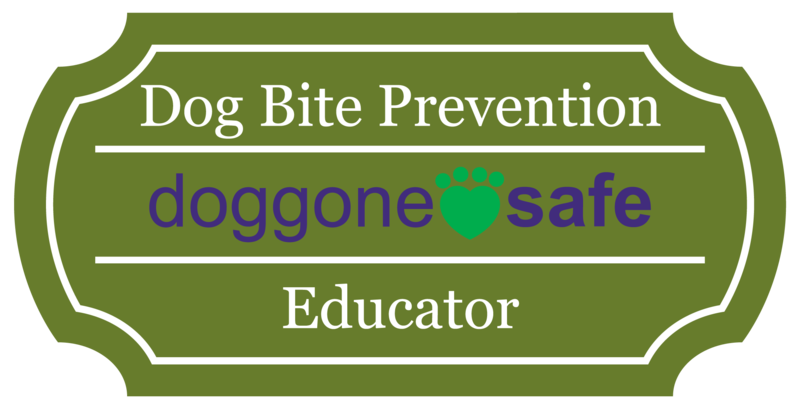 Parents seeing potential danger signs in their dog's behavior are encouraged to err on the side of caution and implement dog bite prevention measures (increase supervision and use physical barriers when supervision is not possible) until it can be determined whether the dog is actually a danger to the children and if so, until the problem is resolved through consultation with the appropriate professional. Many dog bites could be prevented if parents and children were aware of the subtle communication signs that dogs send when they are anxious. An anxious dog is much more likely to bite than is a happy dog. There is a big difference between a dog that is tolerating interactions with children and a dog that is actually enjoying these interactions. Many dogs are exceptionally tolerant of mishandling by both kids and adults. They show signs of anxiety, yet never get to the point of biting. Other dogs tolerate things they don't enjoy for a period of time, or from certain people and not others, but at some point they have just had enough and they growl or snap. Most people are shocked when this happens. "He has never bitten anyone before" or "there was no warning", they say. Dog behavior experts will tell you that there is always a warning, it is is just that most people do not know how to interpret dog body language. Can You Spot the Danger Signs? Josie's body stiffened and she raised her tail slightly more. Her tail was already raised long before she bit. The puppy did not see the warning. Did you? The kids that are with her, who are experienced dog handlers and well-schooled in dog body language, did not see the warning either. It all happened so fast. Let's just pretend for a moment that the puppy was a child and you were the parent sitting right there. Do you think you would have noticed the warning signs? Do you think that you would have been able to stop the bite, even if you had seen the signs? Dogs can bite in 1/40th of a second. It would have been all over before you even had time to react even if you were right there. It is doubtful that anyone would have been able to stop the bite in this situation. However, we already knew that Josie does not like puppies. She had at various times in the past, got up and left the vicinity of a puppy, shown various signs of anxiety (which we will discuss later on this page) around puppies, and growled at puppies who approached her or her belongings. She had done everything possible to say "I am uncomfortable around puppies" and yet we allowed the puppy to come close to her while she was getting treats. This pushed Josie past her limit of tolerance and she snapped at the puppy. This did not hurt the puppy (other than his feelings) because he has lots of fur and because Josie did not intend to hurt him - just to warn him away. Various strategies could have been used to prevent this situation, all of them based on noticing and acting on the warnings previously given by the poodle. We ignored all these and allowed a situation to occur that resulted in Josie feeling that she had no choice but to tell the puppy off. Since they are dogs it is not a big problem. Dogs are good at sorting these things out for themselves. Just imagine that the puppy was a child though. Children do not have fur to protect them and this kind of "don't bug me!" bite could have very serious consequences. This was not an attack or even an incidence of serious aggression. This was a nice family dog, pushed past her limit of tolerance in that moment. It is analogous to a parent losing her cool and shouting "stop that right now!" to a child that has been pestering her or a sibling incessantly. There are many people in the Doggone Safe Victim Support Group who have found themselves in this exact situation with a dog that no-one thought would ever bite. Even a single bite can cause terrible damage to a child's tender skin resulting in many painful plastic surgeries and lasting emotional problems. 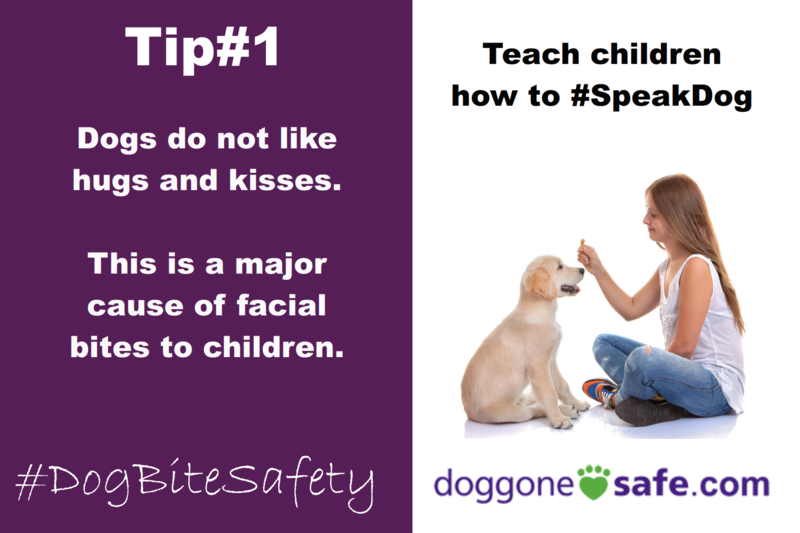 The consequence for the dog is even more dire, since he will likely lose his life or end up in a shelter over such a moment of intolerance if the bite happens to land on the child's face or other sensitive area. We offer this example in order to demonstrate why parents, kids and dog owners need to learn to speak dog and know when the dog is happy to interact and when he wants to be left alone. Visit our parent information page for more about how to prevent this type of situation. Watch this slide show that shows different types of body language and gives interpretation. The video also has a movie showing why we shouldn't tease a tied dog and what to do if a pack of dogs comes barking at you.